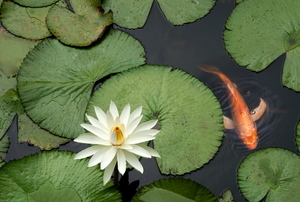 Keep your koi pond gorgeous and healthy with these tips. 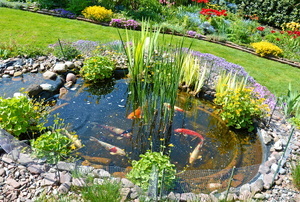 Common pond fish such as goldfish and koi require little supervision. Keeping your koi fish pond safe from predators requires some planning. How Much Energy Does a Koi Pond Consume? 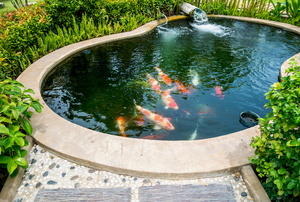 Before you move forward with your home koi pond project, take careful consideration of how size will affect your energy costs. 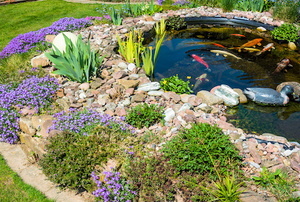 Choosing a heater to keep your pond warm all year isn't as easy as just picking the first one you see. 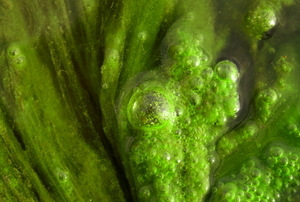 Staying in control of the algae build-up in your pond can be as simple as choosing the right variety of pond fish. Koi Pond Pumps: External Or Submersible? Pond fish food can be very expensive. As a result, many people have started making their own fish food.